Mapanzure High has recorded a tremendous improvement in its performance at ‘O’ level, with the release of the 2018 examination results reflecting tangible progress the school is making against all the odds. 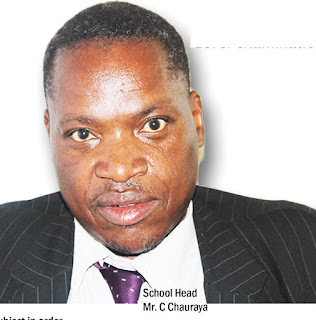 The government school, which has over the recent years sought to set itself apart from the ordinary rural school through a well-defined and consistent drive for advancement, managed to obtain a 34 percent overall pass rate for the pupils who sat for Zimsec examinations in November 2018. Mapanzure High School’s pass rate exceeds the 32 percent national average, and it comes against a backdrop of renewed economic difficulties in the education sector. The school also offers Higher Education Examination Council (Hexco) exams for which a 62 percent pass rate was obtained from among the pupils who sat last year. Mapanzure High School head, Clepos Chauraya said the school was united in one forward-looking spirit which is making the school a dynamic centre of secondary education. “We have maintained that we are there to exceed expectations and that’s exactly what we are doing. Our struggles and obstacles might not be similar to that other school’s obstacles, and we have therefore set for ourselves a unique bar by which we will continue to measure our performance and do self-assessment. Members of staff, the SDC, parents and pupils share the vision of growing this humble school to a better setting,” Chauraya said. He encouraged parents to do their best to pay their children’s fees and clear arrears, saying the school needed every coin it could get to develop learning standards. Mapanzure High became one of the very first rural government schools to buy a bus in early 2016, a development which has seen the school saving money that had hitherto been spent on hiring services.